Europe is home to some of the most romantic and historical cities in the world. With so many beautiful cities it’s difficult to know which to visit first, especially if you’re only planning a short romantic break away. To help you make a decision, we’ve compiled a list of 5 amazing European cities everyone should visit at least once in their lifetime. Paris, oh la la. If you haven’t been to Paris yet, please do. Paris is the city of romance, ‘amour’, culinary cuisine, arts and fashion. Every time someone says Paris, I think of love. I don’t know why but I do. Paris symbolizes love. I don’t think there’s another city in the world that stirs up such an image of romance. My dream is to be proposed to at the top of the Eiffel Tower but to be honest, I’d settle for a kiss. There are lots of romantic sites in Paris such as Pont Marie also known as the ‘bridge of love’, Parc des Buttes-Chaumont; the largest Parisian park, Lapérouse Restaurant which has a long history of romantic entanglements and the list goes on and on. There are also a large range of restaurants in Paris with exceptional cuisine, breathtaking works of art and fashion. You will never run out of things to do in Paris, take a chance, the adventure awaits. This Spanish capital has some of the world’s most fascinating attractions. From museums to thousands of monuments; historical and artistic culture all depicting the great moments in European history. 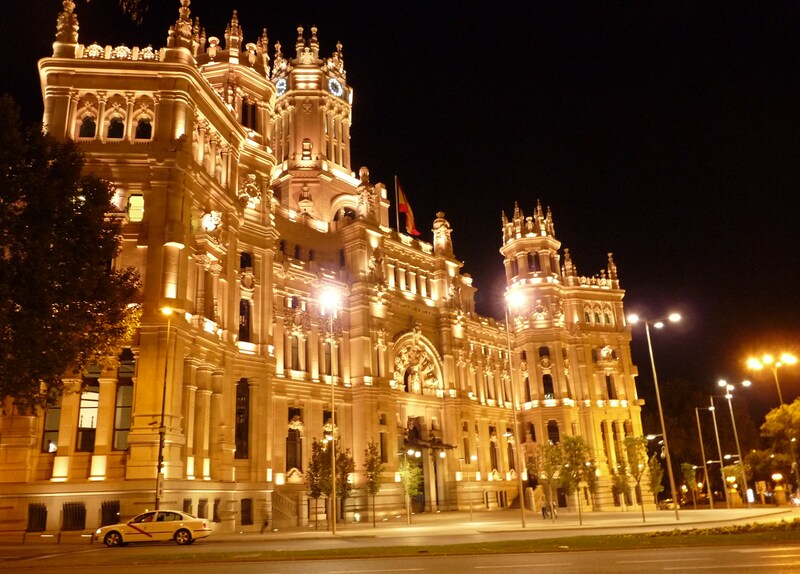 Madrid is a pulsating City that is vigorous and compelling by day and by night. Prado Museum is one of the most impressionable museums in Madrid. This exceptional museum is packed full of naturalistic style paintings. It boasts a magnificent collection of art masterpieces. Madrid’s Art and Culture is to die for, there’s no doubt that you will fall in love with the art. The Retiro Park (Parque del Retiro) is another splendid place to visit. The quiet relaxed atmosphere is enhanced by a wide range of flowers and trees. This park is a great place to spend your day in an oasis of serenity. Milan is one of the most stunning cities in the world. Milan contains amazing parts of Italy’s heritage and is very fun to explore. The Duomo Cathedral is a symbol of Milan that dates back to the 1300s; it is a spectacular site to see. This marble architecture is a striking place to experience and it is full of history. Milan is also the home of style and high fashion; it offers infinite prospects for chic shopping. Brera and Monte Napoleone offer exclusive artsy boutiques which will make your shopping experience very enchanting. Navigli District is one of the most dynamic parts of the City. There are a profusion of restaurants with irresistible dining experiences, beautiful and scenic old houses and a quaint sunset. When you’re in Milan, take the time to explore, enjoy yourself and sip an aperitivo. Although Paris seems to have the edge, these days Amsterdam and Paris are battling for the prize of the ‘City of Love’. This historic City is the perfect destination for a romantic weekend for two. Amsterdam is an amiable and awe-inspiring City that is perfect for strolling with someone special. The canals are magical and are worth taking the time to explore. Amsterdam is an outwardly hovering City created by 165 waterways of 90 islands connected by 1,281 bridges. There are architectural buildings protected as monuments dating back to the 20th Century. The Van Gogh Museum contains the World’s largest collection from the Dutch Painter Van Gogh and features over 200 spectacular paintings and 600 drawings. You will love slowly admiring this astonishing artwork from the mastermind ‘Van Gogh’. 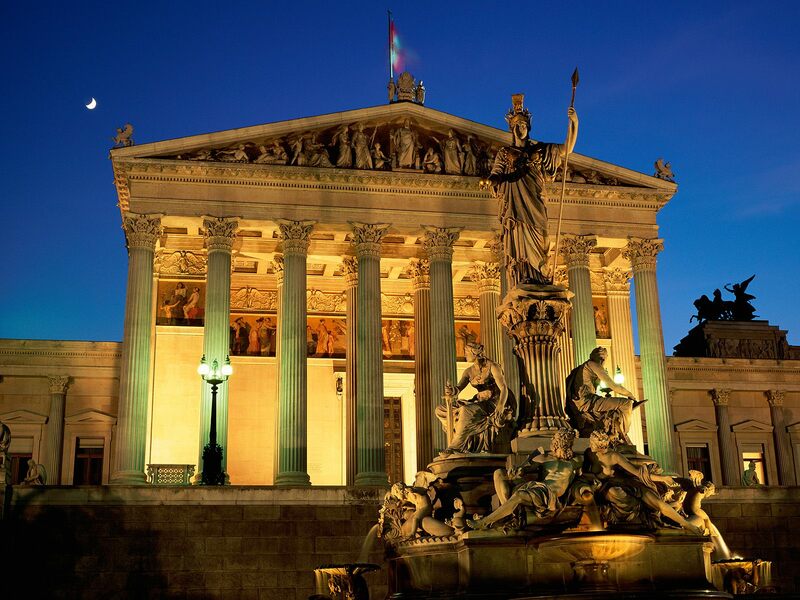 Vienna is an epic vision of Habsburg fortresses, cafes and museums. This City truly feeds on majestic reminiscence. Vienna is a tremendous enchanted City that is stunning in any weather. The Historical Center will not disappoint. It has gorgeous architecture, including ornate castles and gardens with monuments and parks which date back to the late 19th Century. Another amazing attraction is the Kunsthistorisches Museum. This museum has an immense collection of innovative music manuscripts coupled by an art gallery. The works of art have a stirring history and they each tell a different story. Vienna is a historical City with an image of palaces, white horses and carriages, and women in fur coats. What is the Best Hotel in Paris? Lovely evening and sunset shots! I can’t wait to visit the Prado in Madrid. I’m off to Sevilla and Granada later this month, so Madrid will have to wait a bit. Just an fyi, it looks like you accidentally used a shot of Venice instead of Milan. oops! I’ll have to change that Aubrey. Hope you have a great time on your travels, sounds like you have a good few months planned.